The band is being honored as the 2018 MusiCares Person of the Year. 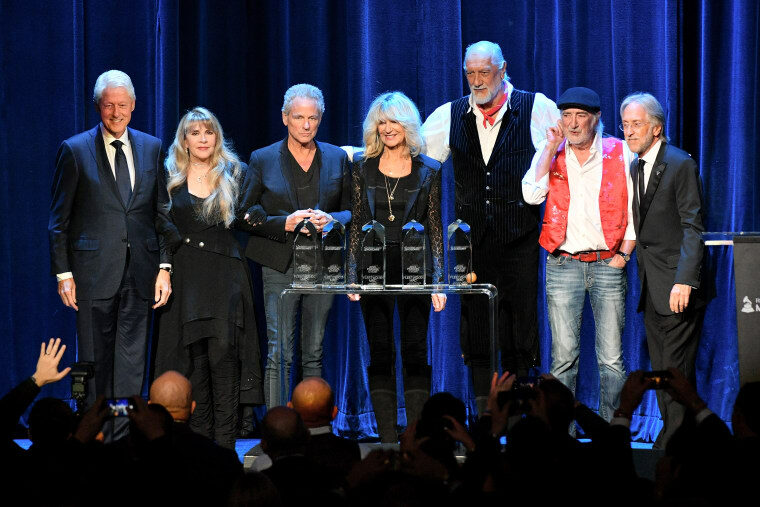 Fleetwood Mac is being honored by the Recording Academy tonight as the 2018 MusiCares Person of the Year, and several artists (and also Bill Clinton) are at Radio City Music Hall to pay tribute. Lorde, Miley Cyrus, John Legend, HAIM, and more gave performances to honor of the iconic band, covering "Silver Springs," "Gypsy," and more. The band themselves also performed, after Stevie Nicks spoke lovingly about her friend Tom Petty, who passed away last year. The band was introduced by Harry Styles, who debuted a fantastic cover of "The Chain" back in September. Watch him perform the song with Fleetwood Mac, along with all the other tributes, below. Stevie Nicks also told a very cute story about explaining nerves to Harry Styles.